We make your feet and family happy. All of our business comes by word of mouth for a reason. Let us show you why with a free in-home estimate. We can price and install all kinds of flooring: hardwoods, vinyl, vinyl plank, tile, hardwood refinishing, but we specialize in quality carpet at extremely affordable prices. Dustless hardwood refinishing is Alabama's premier hardwood company. We've been in business for over 14 years serving Birmingham, Tuscaloosa and north Alabama. We specialize in dust contained hardwood refinishing with our focus on complete customer satisfaction. Only certified expert in Rubio MonoFinish Natural Flooring Oil application, in the State of Alabama. Riverchase Carpet and Flooring, Inc. was established in 1995 in Pelham, Alabama. Since its inception, the company has grown to become the premier destination for quality flooring products in the middle Alabama region. In 2006, the company was aquired by John W. Wilson and since that time, the company has maintained its large market share. The showroom has been completely remodeled and new lines of carpet, hardwood, and porcelain tile added to the existing offerings. Some of our lines are only sold exclusively because of stringent manufacturer’s requirements that only Riverchase Carpet and Flooring can provide. Our philosophy is to provide a high level of service both in selection and installation. In home or commercial settings, estimates are always FREE. The store is conveniently located on the corner of Highway 31 and Valleydale Road. 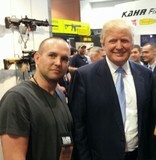 Our slogan is: “We Stand On Our Reputation Everyday” and that is how we serve our customers. Riverchase Carpet and Flooring, Inc., your destination store for new or remodel flooring applications. *Authorized Mohawk Dealer* We are a locally owned and operated business. 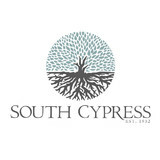 CMS Flooring has been serving central Alabama for 18 years. We work with residential homeowners, new construction, property management, and commercial contractors. Our focus is centered on providing our customers with the right choice for their flooring and window covering needs. Give us a call at (205) 637-7995 for an appointment. 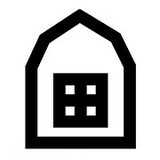 You can also take advantage of our Shop @ Home online experience. You will see why it's worth talking to the professionals at CMS Flooring. Floor Mania is based out of Alabama with many warehouses spread across the country. We sell 1st grade flooring at low prices. You order - We ship it to you! Ford Flooring provides affordable hardwood, ceramic, concrete, and tile floors for businesses and homes throughout the central Alabama area. Our owner supervises every job to ensure that you receive the highest quality product and flooring installation. We also can provide references for our new clients to show the satisfaction and professional quality of our work. Solid surface flooring allows for many options when selecting materials, colors, and finishes. Wood floors bring a timeless element to any room, while tile installation and concrete may be used to create a clean, modern look. Whether you choose wood, tile, or concrete, we will work to help you find the best flooring to fit your style, needs, and budget. We are a hands-on and local business working to keep our community looking its best. As a small, family-owned company, we at Flooring Gurus, LLC take pride in providing our customers with top-of-the-line service and a fantastic product quality that is hard to find anywhere else. From helping you choose the flooring material to completing the installation, we aim to make renewing your floors easy, and we'll be there with you throughout the process. We even offer installation of flooring material purchased elsewhere. For quality flooring sales, carpet installation, hardwood flooring installation and more in Pelham, AL and surrounding areas, call Flooring Gurus, LLC at 205-564-8200 and request an estimate. Diversified Sales, Inc has been in business since 1974. 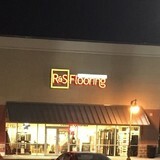 Realizing that nothing stays the same the company decided to open a full discount-flooring store. Great prices start with great buying power. FloorSource SuperCenter has a huge in-stock inventory of carpet, hardwood, laminate, tile and stone. The SuperCenter even has a huge selection of Carpet Remnants ready to install today. FloorSource SuperCenter is built on the idea of offering quality flooring at truly discounted prices. All do-it-yourselfers, remodelers and contractors are welcome. We know you will be happy with our top rated service and staff. Shop FloorSource SuperCenter today and save money on all you flooring projects. Call or contact us today at 205-423-6001. Acton Flooring, Inc. has been in the floor covering industry for over 30 years. 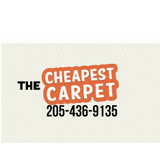 We are a full service sales and install company offering all types of carpet, resilient flooring, and wood. We have an extensive commercial library and residential showroom. These facilities are open to customers, contractors, designers, and architects. What kinds of services do hardwood flooring installation professionals in Brook Highland, AL provide? Find hardwood floor experts in Brook Highland, AL on Houzz. Search the Professionals section for Brook Highland, AL hardwood flooring installers and dealers or browse Brook Highland, AL photos of completed installations and look for the professional’s contact information.